Work to repair five separate areas on board FPSO FPF-003, operated by Petrofac South East Asia Pte Ltd using SPS has been completed on-station in the Mubdala, Jasmine oil field. 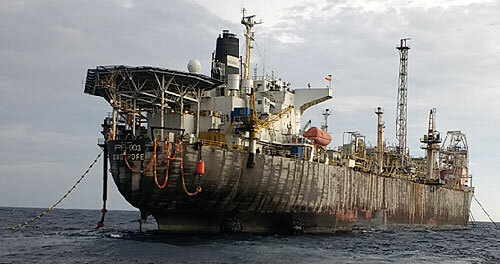 The repair work on this ABS classed vessel, built in 1976 and converted in 2005, was completed 15 days ahead of schedule with no disruption to day to day operations. In total 96 m2 of steel was reinstated. Working with client EM&I and steelworkers Altamar, Intelligent Engineering (IE’s) field team engineers were able to work their way through the five areas: engine room bilge, engine room side shell, pump room bottom shell, forward cofferdam bottom shell and bulk head and main deck.